Dangle DVD Material Guitar Pick Earrings! 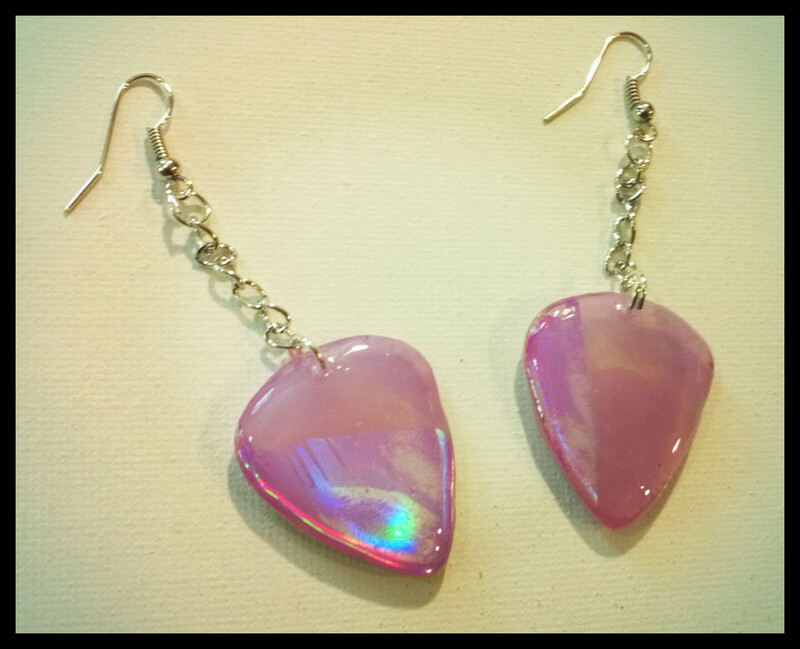 Dangle DVD material guitar pick earrings with an iridescent shine. Purple, pink and silver colors. They come with silver colored chain and fish hook style backs.